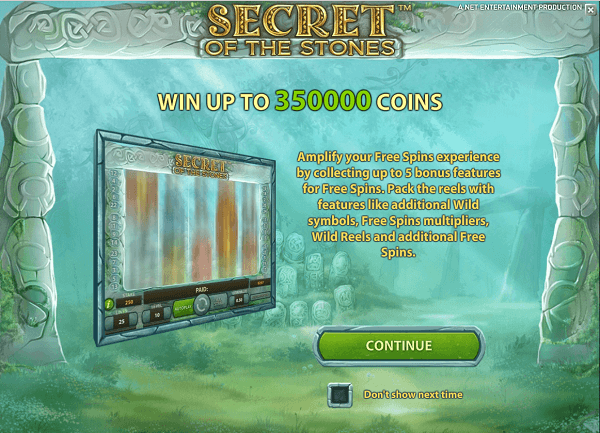 The Free spins feature of Secret of the Stones is triggered by the Golden Tree symbol, which represents the scatter icon of the game. 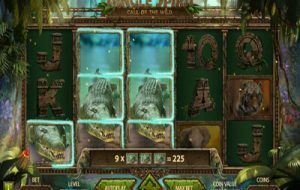 When three of these tree symbols land anywhere on the reels of the game, players will get to activate the Free spins feature. 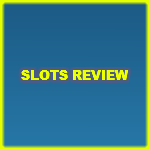 This round gives players ten free spins on the slot but the rewards do not stop there. This is because once players activate the round, they will get to click on 3 to 5 of the stones that will appear on the screen in order to reveal extra hidden prizes, it depends on the number of scatters that landed on the reels of the game that activated the Free Spins Feature. The hidden prizes include extra free spins, as players can earn up to 10 additional free spins, they can also earn multipliers that will multiply the winnings earned during the free spins. The multipliers can amount up to x2. Another hidden prize is the Wild reels feature that will turn the 2nd reel, the 4th reel or both into wild reels. Lastly, during the free spins, there can be extra wild symbols that can help players earn more payouts. These extra wild symbols can be the owl, the deer, or both. 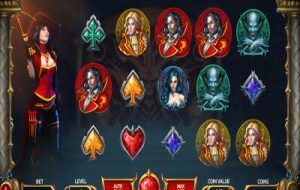 Features:Scatter Tree symbol, Wild Wise Old Man Symbol, Free spins Feature, Expanding Wilds, Extra Wild Symbols, multipliers. Since the game is themed around magic, players will see plenty of wizardry inspired symbols that will appear on the reels and the lines of the game. They include the wild wise man whose image is engraved on a stone. Other symbols include animal carvings into stone blocks such as cows, wolves, snakes and owls. 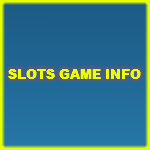 The Golden Scatter Tree symbol: It is the bonus symbol of the game that has the ability to trigger the free spins feature that can come with additional wilds, wild reels and multipliers plus a great number of free spins. The Wild Wise Man: This symbol is the wild icon of the game that can land anywhere to replace any other icons (except the scatter tree) during the base game or the free spins. 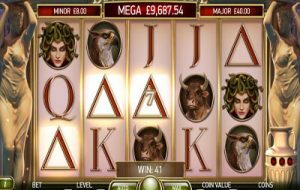 The Owl & the Deer: These symbols are extra wilds that can only act as wild symbols during the free spins round of the video slot machine. 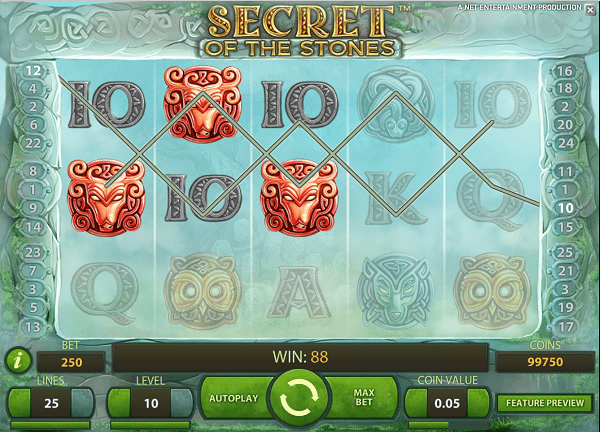 Secret of the Stones is an entertaining Net Entertainment powered video slot machine that will take players into the magical world of wizardry. Players will be guided into the world of magic by an old wise man. The game has a very exciting interface that is inspired by the theme of the game. 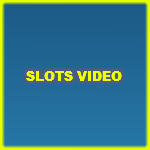 The game has 5 reels and offers players a total of 25 betting lines that they can place their bets on. These bets are placed through the control panel of the game which is located under the reels. Players would go through the different betting options of the game that include the number of lines, the betting level and the coin value. The game’s visuals are captivating and they succeed in depicting the game’s theme in order to provide players with an immersive experience. Apart from being an exciting game, it is also a highly rewarding one that comes with plenty of special features and high paying line rewards. Players can check them at the paytable of the game.